Indian women are taught to put others before themselves from an early age. This book aims to change that. Boundless is a powerfully honest collection of poems that encourage a young India to find its own identity. The last ten years for the poet, Natasha Malpani Oswal, have been a journey in experimentation and self-discovery. 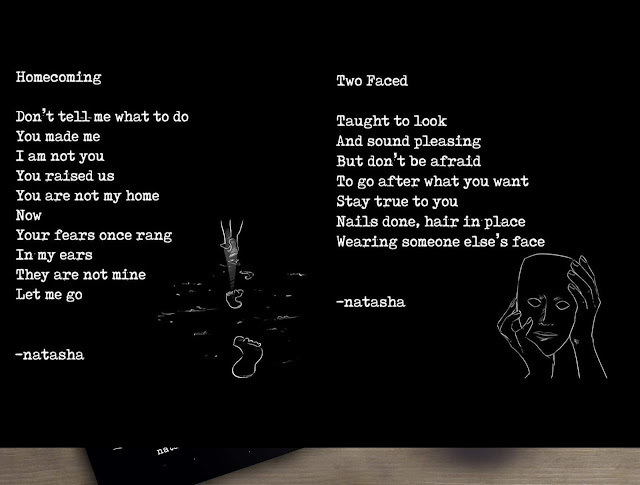 Natasha has tried to capture her exploration of the idea of home and identity over this time frame through these poems. In the recent times, poetry as a medium of expression has been widely celebrated which only means more to love for poetry lovers like me. 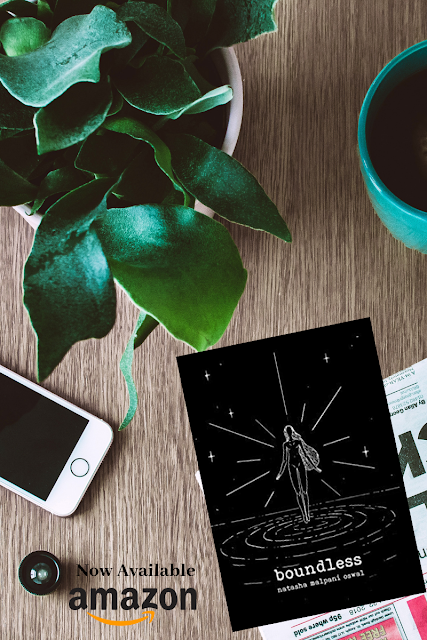 With poets like Rupi Kaur, Harnidh Kaur, Rochelle Potkar we have been introduced to new forms of poetry which is poignant and relatable at the same time. 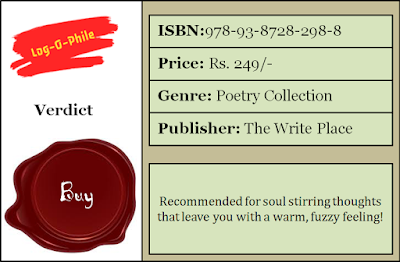 They seem to pick up extremely relevant themes from what is happening around us and weave the emotions around it to create poems which leave a deep mark on the psyche of the reader. Natasha Malpani Oswal is a big believer in the power of storytelling. She currently leads Dice Media, a fast growing media startup in Mumbai. She holds an MBA from Stanford, and Masters degrees from Oxford and Cambridge. Natasha loves building startups, and has worked on four startups between Silicon Valley, London and India. She previously worked in impact investing and cancer research. Boundless is a powerfully honest and vulnerable collection of poems that encourage a young India to find its own voice and identity. Her poems describe her journey in experimentation and self-discovery over the past ten years: and captures her exploration of the idea of home, belonging and identity. She hopes to encourage every woman to take the time to discover themselves through her book. After reading this book, I can clearly say Natasha Malpani Oswal deserves every single praise coming her way for this stellar debut. Holding Boundless by Natasha Malpani Oswal reminded me of Rupi Kaur's Milk and Honey with it's black cover which has a very unique feel to it. Similar to skin, smooth and silky the cover itself evokes a thousand emotions in the mind of a reader instantly. I fell in love with the overall theme of the book which talks about the social pressure Indian women have since the time they are born. 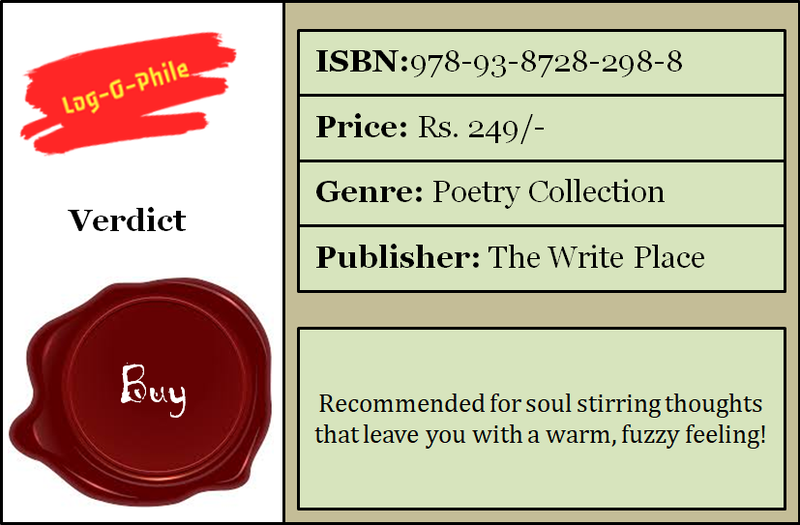 Divided into five parts which talk about falling, recovery, belonging, escape and discovery this poetry collection encapsulates every emotion that a woman experiences in her life in some form or other. Accompanied with beautiful sketches, the poems are soul-stirring and ones that make you ponder. The poet's ability to connect with all that a woman goes through in her life and capture it in her words with such precision is simply amazing. It is as if she is your close friend, a soul sister, a confidante and a secret keeper who knows where does it hurt, why and how badly. There were many poems where she left me teary eyed for I didn't know how could she put my exact feelings in words so beautifully. The sheer beauty of her words makes you want the book to not end. Her writing is immensely powerful, unabashedly honest and deeply moving. In her foreword she mentions, how these poems are inspired by different lessons of life that came her way over a period of ten years after she left home to pursue her dreams. It is difficult to miss the grace with which she talks about the negative emotions or experiences faced by her. There is no blame game, no victim mode, no guilt trips and no apologies. The poems have a tinge of pride in them mixed with liberal doses of optimism. Their rhythm when mixed with the thumping of your heart beats can make your soul dance in joy - the joy of being boundless. There have been so many instances when we feel lost in life and want to be not defined by any of the boundaries around us, physical, mental or otherwise. This book captures that "lost feeling" exceptionally well. As if, we had whispered in her ears and she brought it out in words. I read this book over ten days during different moods and phases and not once has the book made me feel low or triggered a past unpleasant memory. Rather, it has always helped me calm down, look at the brighter side of life and feel confident about my own self. It has reassured me about my own capabilities and served as a reminder of what all can I achieve in life by just believing in my self. That is where for me this book scores a brownie point. It is not easy to not sound melancholic when you writing about pain and hurt. That melancholy threatens to impact the reader through those words and leaves one feeling low, having triggered a plethora of emotions within. For me, this book was more like a 'feel good' kind of read. Interestingly there were quite a few poems which had different impact on me every time I read it. The overall tone of the book has been blissful and therapeutic. 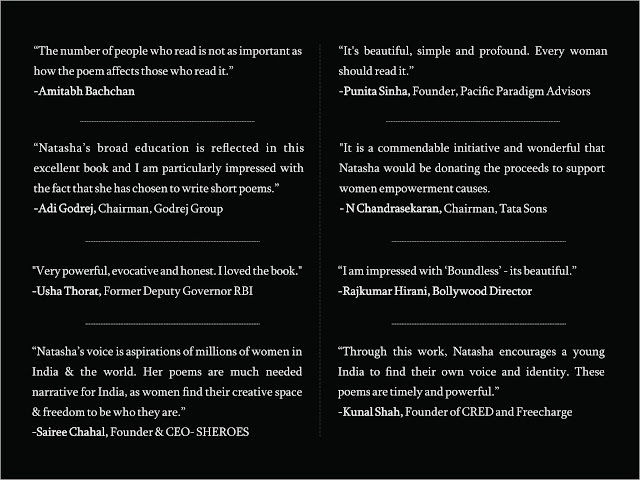 Boundless is a bold book, one that brings forth topics which we have been pushing into darkness till now. It is a beautiful book written straight from the heart which needs to be experienced for no words can express the impact of those poems on your soul. Overall, it is a brilliant book - strongly recommended for one and all. Can be a wonderful gift for those soul sisters we all have in our lives, who are our superheroes, agony aunts, fashion designers, career consultants, financial advisors, counsellors and relationship advisors rolled up into one.